NFC Playoff Weekend, Skype and Zentangles | Who Are You Calling Crafty? First I need to point out the following, I am a HUGE PACKERS FAN and every PACKERS and BEARS FAN have been waiting ions for this game. 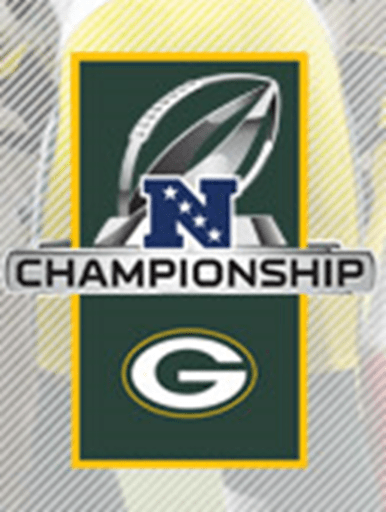 A NFC Championship Game the winner goes to the Superbowl (182 meetings between the two teams.) It was a sloppy, ugly game, I expected no less from either team. In the end Green Bay was Victorious (much to this PACKERS FAN delight)! These are images that I Print Screened from PACKERS.com taken after the game. As a PACKERS fan I am still in shock we won and our quarterback didn’t blow it (i.e. Brett Farve). So now we are going to Dallas to play the Steelers in the Superbowl! I Skyped with my parents this weekend. I admit it was really cool to see my mom and dad. My mom didn’t want to hang up, I also see them getting a notebook with a built in camera of some kind in the near future! I also worked on some more Zentangles I admit I am addicted and it really helped me relax during the game. 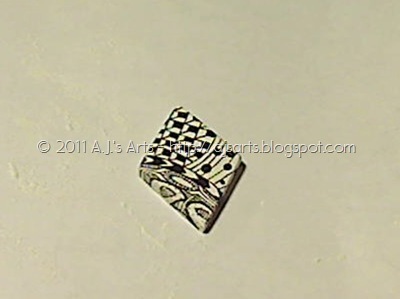 I made a broach from the casting stuff and decided to Zentangle it! I figured I would make something useful (wearable)with the Zentangles. I used a Staedtler 03 Pigment Liner to draw on the casts I did. It worked well I have not sealed it yet but so far so good I see a couple more in my future. I finally have more baby powder so I will start making another batch of casting stuff sometime this week. The other thing I am working on is a HUGE graphic design project and now I have finally decided I NEED a MAC! I have it picked out and all I need is $1200 and it will be mine – it is a refurbished one but I dream about how AWESOMELY fast it will be! I had a pretty cool weekend considering VISTA and Photoshop hate each other. I was able to get a ton of stuff done and I hope everyone had a wonderful weekend like I did!